When non-conformities are raised during audits a sequence of events needs to follow afterwards in order to deal with the non-conformity correctly. This post highlights the main process that good auditors should use, as well as highlighting any potential problem areas. The key stages of the whole process for dealing with non-conformities are listed below. These are covered in more detail in our Pharmaceutical Lead Auditor training course. The non-conformity must be correct and raised against a clause of the standard that you are auditing against. The non-conformity should be agreed at the time – not saved until the closing meeting. They will be raised at the closing meeting, but this should be to confirm what was agreed during the audit. The auditee can tell you what they intend to do to fix the problem. The auditor can respond with their thoughts. Action has been taken that is thought will correct the non-conformity. It is essential that evidence is found to show that the corrective action has been effective. This could include analysis of data, a reduction in problems, an updated document, more training, an internal audit and/or a visit or review of the whole area or process. There are lots of ways in which you can check for effectiveness. The auditor needs to be informed that the non-conformity has been dealt with for good. The auditor reviews the evidence provided to check that they are satisifed that the non-conformity has been dealt with. The auditor should inform the auditee that the actions are suitable. The auditor should inform the auditee that the actions are not suitable and further actions are required. The audit report is updated to record the closure of any non-conformities. Key personnel involved in the audit are informed once all non-conformities have been closed. Some non-conformities are worth following up at any subsequent audit, just to check that all actions were taken and were effective. One of the main problems with audits is people not taking effective corrective action. This is often why problems are not dealt with correctly and re-occur. An auditor should be tenacious, and if they are not satisfied with corrective actions taken then they should say so! Good luck with your auditing. 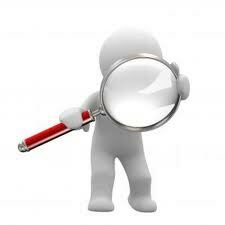 If you want to know more about auditor training – visit our web-site.